At Guaranteed Plumbing, our Zebulon, NC professionals are dedicated to providing the highest quality plumbing and well pump related services in the local area. Our professionals have the knowledge, skill, and experience to assist you with all of your plumbing needs. The one constant in all of our work is our goal to maximize customer satisfaction. Call Guaranteed Plumbing today if you need to hire a professionally licensed plumber or well pump contractor in Zebulon. Our staff would be more than happy to assist you in any way that we can. We would be extremely excited to schedule your appointment today. When our experts install a well pump for you, they will expertly assess the layout of your property and inquire as to your specific well pump needs. In this way, we can provide you with a well pump system that is custom designed to fulfill all of your goals. You are guaranteed to be thoroughly satisfied with the results of our Zebulon well pump installation services. After we expertly install your well pump, our contractors can keep it running in the most efficient and effective fashion. 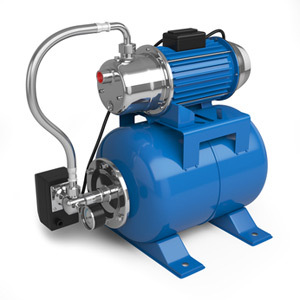 We are highly skilled at repairing and maintaining all well pump systems. If there is ever a problem with your well pump, our contractors will troubleshoot it to determine the precise problem. You can then rest assured knowing that you well pump is operating at peak performance. If you need to hire a professionally licensed plumber or well pump contractor in Zebulon, call Guaranteed Plumbing today at 919-758-6237, or fill out our online request form.